Many of us have that neighbor. You know, the sweet, slightly older, lady who lives down the street. Every July, she stops in and drops off bags from her vegetable garden filled with the ripest tomatoes, the greenest green beans and even a head of lettuce that looks like the picture in the magazine. As grateful as you might seem, admit it. You’re a little jealous. You head into every Spring with big ideas and good intentions. This is the year you’re going to grow the best vegetable garden. But the bunnies attacked your broccoli, the aphids sucked the life out of your squash, and the peppers never quite took off. Hey, at least that cucumber salad was a big hit at the family party. Don’t lose hope. You’ve got a fresh start and—with a little planning and the right resources—you really can grow a beautiful vegetable garden that’ll make your neighbors green with envy. And to make it a little easier and save you some time, we’ve hand-picked ten websites to quickly get you on the right path. Margaret Roach has some serious credentials. In her 25+ years of writing about gardening, she was the garden editor at Newsday and Martha Stewart’s Living. When she stepped away in 2007, she started A Way to Garden and has since written a few acclaimed books on the topic. But don’t let her background intimidate you. Her blog posts cover everything from growing better tomatoes to knowing when to start what, ideal for both beginning and more advanced gardeners. And if you want to stay focused while you’re planting seeds or preparing your soil, pop in your earbuds and listen to her podcast. Though many garden bloggers have very traditional gardening backgrounds, Gayla Trail’s story is a little different. She grew up in a working class townhouse complex in Ontario, Canada. But since launching You Grow Girl in 2000, she’s developed a fresh perspective and taken a truly unique approach to organic gardening. She’s also built a huge social media following, written several books and been featured in top magazines along the way. Gayla’s Beginner Gardening Guide 101 is packed with really useful links for newbies, but she’s also written several other guides on different topics, as well as a comprehensive resource section where she shares her favorite tools and websites. And since she’s an avid photographer, you’d expect her Instagram page to rock. Which it does. There are a handful of good gardening worksheets and growing guides out there, but Kristee Rosendahl and her team at Smart Gardener have developed one of the most comprehensive tools to help you plan, grow and harvest your own food. 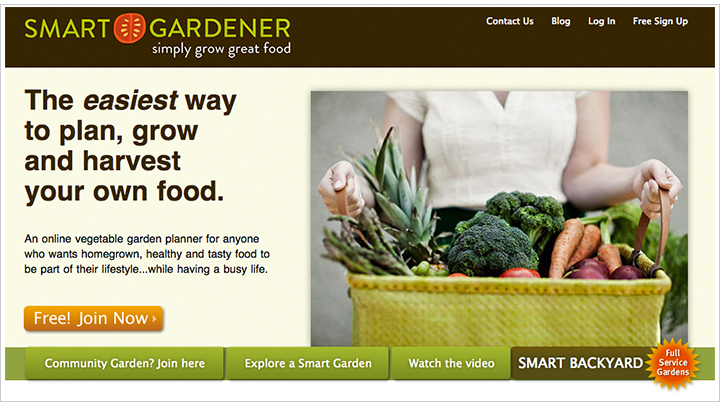 When you register on Smart Gardener, you’ll have access to your own personalized vegetable garden dashboard, complete with a plant selection tool, a journal and to-do list. There’s even an interactive garden planner that helps you drag and drop different beds, plants and layouts based on your garden dimensions. Granted, you may be a little concerned that their blog and social media posts haven’t been updated in a while, but I registered for the site and found it really useful, nonetheless. I think you will, too. 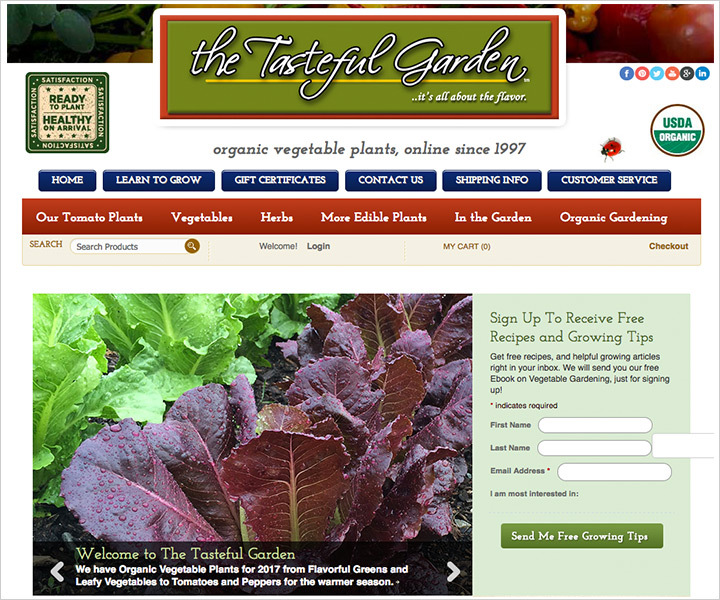 Cindy and George Martin of The Tasteful Garden have been selling organic vegetables online since 2007. From their 16-acre property in Heflin, Alabama, they ship a variety of organic heirloom and hybrid tomatoes, peppers and other vegetables to destinations across the United States. Even if you’re not in the market for plants and seeds, though, the Martins do a great job of sharing their knowledge. Click on the Learn to Grow tab of their website and you’ll find helpful posts on a lot of relevant topics, including Growing Vegetables for Beginners and How to Get Started. Have you ever had a difficult gardening question and wish you could just get a direct answer from an expert? Well, you can. Heather Rhodes started Gardening Know How when she realized there just weren’t many friendly places to find the information she needed. And since then, her site has answered over 50,000 direct questions and has more than 70 million visitors per year. 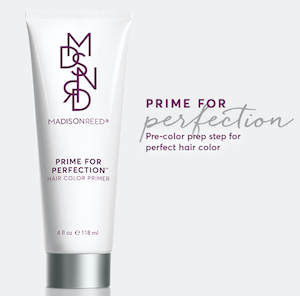 It’s a pretty simple and incredibly user-friendly formula. 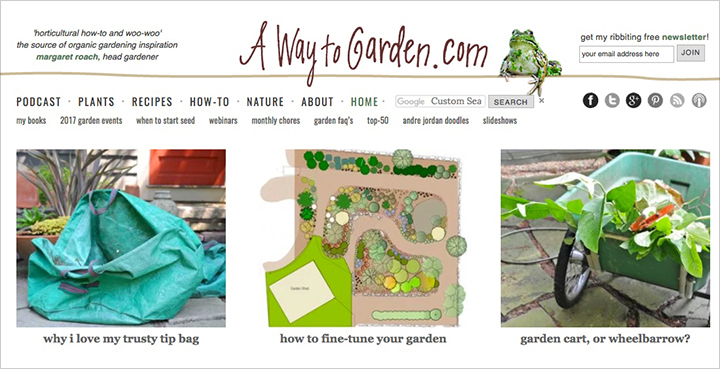 If you’re looking for basic information or need direction, Gardening Know How is loaded with how-to guides and videos to help you find it. But if you have a specific question, just use their form and a certified expert will respond, typically within 24 hours. And you can even create a personalized magazine, track your garden progress and set reminders with the GKH Gardening Companion app for your iPhone or Android. Very cool! Maria Rodale has an interesting family tree. In the early-1940’s, her grandfather, JI Rodale, founded the organic movement in America and later created Prevention magazine. 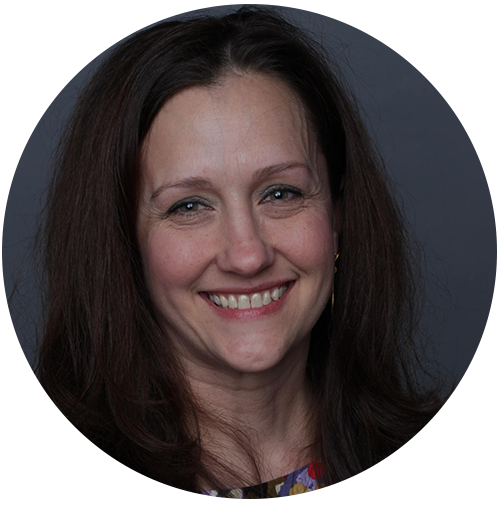 Today, Maria leads Rodale, Inc., a publishing company that transformed the way American thinks about food, fitness, health and farming. 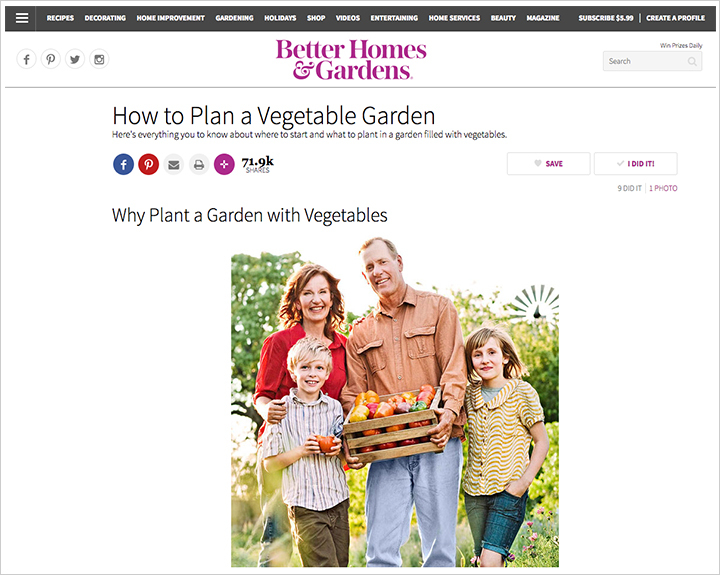 Naturally, when you visit Rodale’s Organic Life, you’d expect to find dozens of helpful articles and guides on how to grow your vegetable garden. And you will. But the more detailed topics are even more interesting. Who knew you should plant flowers in your vegetable beds to keep them healthy? Rodale’s also offers a 21-day free trial of their essential garden primer, Rodale’s Basic Organic Gardening. Definitely worth a look. Don’t dismiss Gardener’s Supply Company as a nice place to buy planters, garden beds and other gardening accessories. The employee-owned company, based in Vermont, has published a LOT of free gardening advice and research. 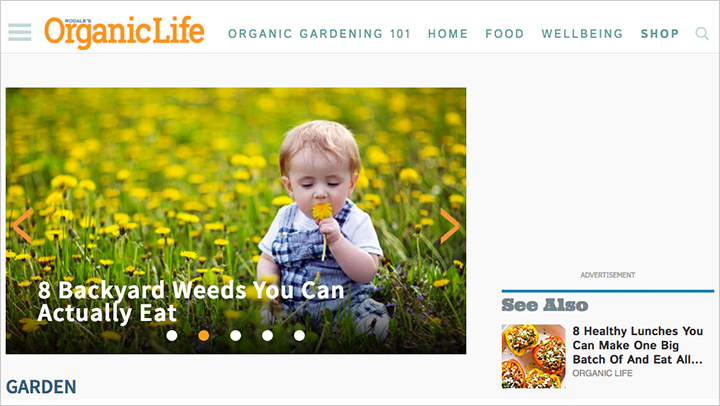 You’ll discover long, in-depth articles on topics ranging from front-yard vegetable gardens to weed control. If you’re feeling a little lost in all of the information and looking for the best starting point, check out Vegetable Gardening for Beginners. It’s a helpful overview, but offers good tips for even the more seasoned gardeners. Okay, I know what you’re thinking. Didn’t our great grandparents read The Old Farmer’s Almanac to check weather forecasts before the internet was invented? You might have a point. 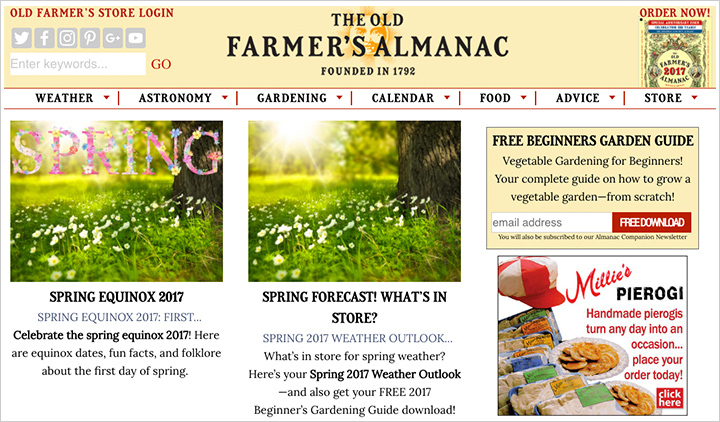 The Old Farmer’s Almanac was founded in 1792 and has been a go-to resource for farmers for the past century. Or two. But if you haven’t been paying attention, The Old Farmer’s Almanac has quietly built an incredible collection of meaningful tips and insight to help you get the most out of your vegetable garden. Tools include a subscription-based Garden Planner, iPhone app, planting dates based on your location, a “how-to” video and article library and even a pretty robust podcast series. You’ll be very pleasantly surprised. 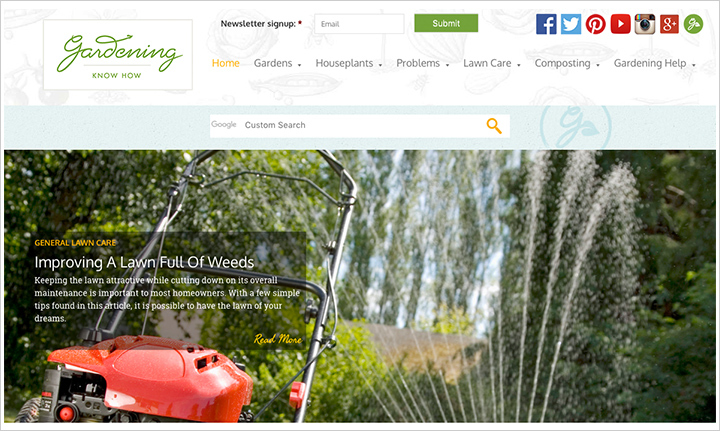 No list of top gardening websites would be complete without Better Homes and Gardens. The magazine has been a fixture on coffee tables for decades and, interestingly, was founded in 1922 by Edwin Meredith, who had been the United States Secretary of Agriculture under President Woodrow Wilson. But history lesson aside, Better Homes and Garden’s companion website, BHG.com, is loaded with articles, slideshows and tools for both beginners and advanced gardeners. While you’re exploring the dozens of posts in their Vegetable Garden section—and mapping out your next steps—you may consider starting with How to Plan a Vegetable Garden. It’s an extremely comprehensive guide on where to start and where to plant. 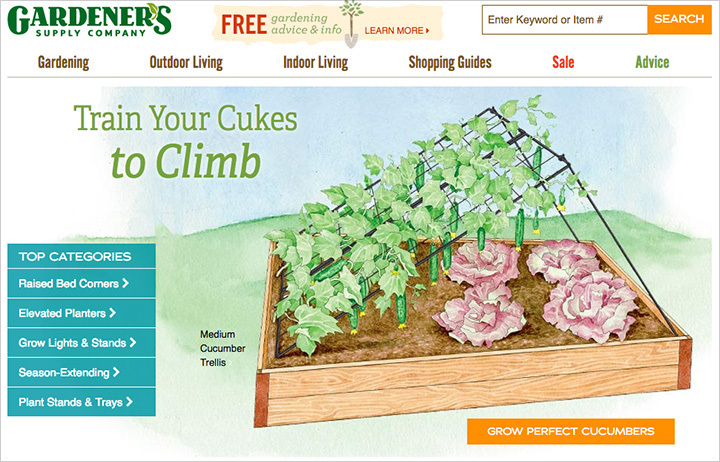 And last, but certainly not least, you’re sure to find a wealth of gardening information at MarthaStewart.com. Martha and her team have put together a robust collection of techniques, tips and tricks to help your garden flourish. Some of the articles have been around for a while, but the insight is timeless and still very useful. If you’re in the early stages and need a little inspiration, check out A Beginner’s Guide to Organic Gardening and Martha’s Vegetable Gardening Tips. Where do you find helpful gardening advice? If you want to share a few links with our readers or have a gardening website we should know about, feel free to post in the Comments section below. We’d love to hear from you!